LMVSC will provide each coach, on an annual basis, information on the nature and risk of concussions, criteria for removal and return to play, and risks of not reporting the injury and continuing to play. The club shall require each coach to sign a statement acknowledging receipt of such information and maintain such record for no less than seven years. Clubs are encouraged, but not required, to have coaches certify completion of the online concussion training and follow-up quiz provided by the Centers for Disease Control at: http://www.cdc.gov/headsup/youthsports/training, or to provide coaches an opportunity for in person training by a licensed medical provider familiar with concussion issues in youth sports. LMVSC shall provide the parents or guardians of each youth participant, on an annual basis, information on the nature and risk of concussions, criteria for removal and return to play, and risks of not reporting the injury and continuing to play. The club shall require each parent or guardian to sign a statement acknowledging receipt of such information and maintain such record for no less than seven years. For purposes of meeting the requirements of this section, a LMVSC may provide coaches and parents with the Centers for Disease Control (CDC) concussion fact sheets for coaches and parents found at the CDC “HEADS UP To Youth Sports” website: http://www.cdc.gov/headsup/youthsports/index.html. LMVSC shall have a protocol in place to govern procedures for any situation in which a participant in the club’s athletic programs or activities (including games, practices, skill sessions and other athletic activities) is suspected of having incurred a potential concussion as a result of a head or neck impact or other impact that could lead to a concussion. 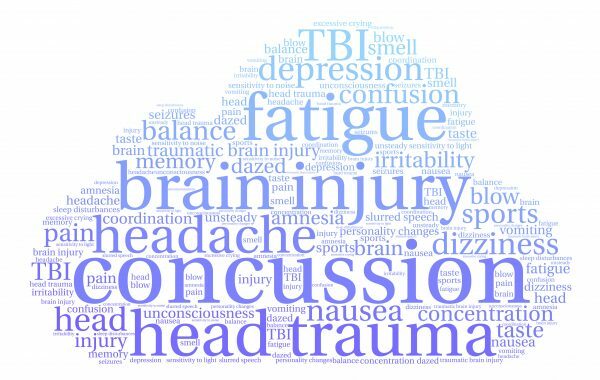 If a player participant in a member club’s activities is removed from play due to exhibiting symptoms of a concussion, he or she may not return to any athletic activity of the club until a licensed healthcare provider has provided the club with written clearance for the player participant to resume such activities. This provision does not prohibit a player participant from attending games, practices and other activities without participating athletically in such activities. LMVSC shall maintain records of medical clearances for seven years. For purposes of this provision, a “licensed healthcare provider” means a physician, physician assistant, osteopath physician, or athletic trainer licensed by the Virginia Board of Medicine; a neuropsychologist licensed by the Board of Psychology; or a nurse practitioner licensed by the Virginia State Board of Nursing. Although not required, VYSA recommends that its member clubs encourage players with suspected concussions to see a licensed healthcare professional with significant experience treating concussions, and further recommends that its member clubs provide their players, parents and coaches with information concerning licensed healthcare providers in their locales who have such experience. LMVSC shall annually provide a copy of its Concussion Management Policy to the State Office no later than October 31 of each year starting in 2016.